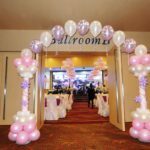 Indoor Wedding Decorations Ideas – Planning for an Indoor wedding is sometimes a bit easier than fighting the elements outside, but there are still a couple of things to keep in mind. First, be sure to ask the venue how many people the facility can accommodate. If you have decided on inviting 500 people and the location only holds 200 you will have to find a larger venue or cut your invitation list. Just like outdoor lighting, indoor lighting is something you need to consider. Does the location you have chosen provide adequate lighting? There’s nothing worse than bad lighting during your big day. If you’ve chosen a facility with not-so-good lighting consider hiring someone to bring in extra lighting. You will have to get the OK from the venue director, but it’s worth it if you have great looking pictures afterward. If extra lighting is not allowed or out of your budget just step outside to take group photos. 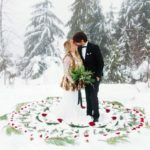 When planning an indoor wedding things can get a bit tricky. You want to decorate, but not smother the area you’ve chosen. After all you don’t want to cover up what initially attracted you to the location. Churches are frequently chosen for nuptial exchange and are quite simple to decorate. A great way to spiffy up this area is to add pew decorations. 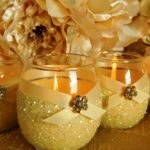 These decorations can include flowers, ribbon, lace, pearls, and linens. Any type of flowers can be used for your church pew décor, but an inexpensive route would be to use daisies, tulips, or carnations. 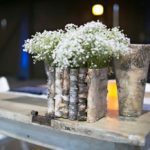 Cheap wedding decorations do not have to look cheap after all. Another popular decoration idea for an inside wedding is using columns and gossamer fabric. Wrap the fabric around one column and over to the other column and create a custom arch. You can also have a more natural arch by using a fresh flower swag instead of the gossamer fabric.